Kamaljit Singh is the Director & Founder at AMZ One Step Ltd. You’ll probably know amzonestep.com, a Toronto Based Amazon consultancy company. He approached us to guest post here and, man, we couldn’t say no, specially considering his experience on product launch. Sit down, take a cup of coffee and read all about Amazon product launching in 2019! After spending considerable time in product hunting, sourcing and importing, your product finally reaches Amazon’s warehouse. Now its time to reap for all the hard work, time and money you’ve vested so far. This is the battlefield that everyone has been talking about, you are in the middle with your to do list. In case you don’t have it already, we can help you can still develop one. These activities should ideally be executed 1 to 2 weeks prior to your product reaching the warehouse but is equally relevant if the product is already in stock. You can begin working on these activities after placing your order with the supplier. The production and shipping time can be used to your advantage by creating a hype and sharing a countdown for the upcoming product. If you are able create a buzz among the audience, they can very well be beneficial for you especially at the early stage of product launch when there is a lot of vacuum that needs to be filled in immediately. 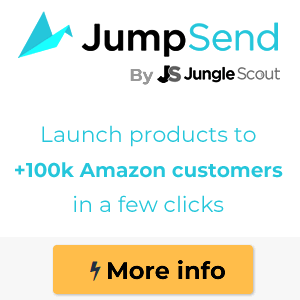 Set up a website and launch the product on it before Amazon. If the product hasn’t reached yet, you can say that the product will be available soon and maybe share a tentative timeline. You can share engaging content periodically, request for email addresses to share product updates, ad testimonials and reviews from people that have already used similar products. You can start reaching out to the target audience just to provide information. You can also take a poll from people to gauge their interest levels or any feedback regarding their previous product related buying experience. This can be extremely useful as you can easily judge the customer reactions and you can mentally prepare yourself for the expected budget hit while setting up giving away and PPC campaigns which we will discuss in detail later. Write a blog yourself or request a professional blogger to write on benefits of an upcoming product explaining how it will give a different experience. The blog post needs to be engaging with product images, your logo and product information. You need to work on your brand logo and keep using it in your periodical posts on website, Facebook and blog. This will engrain your brand impression and product image in the eyes of your audiences before the official launch. You are in a static equilibrium and you require that first push to gain that initial momentum. Who else will be better to support you than your friends and family? You can inform them well before time about your upcoming product and giving them directions as to how they can be of any help when the product launches. Amazon will spread your inventory in warehouses across the U.S. keeping in mind the buying trends and to provide customers economical charges and a timely delivery. 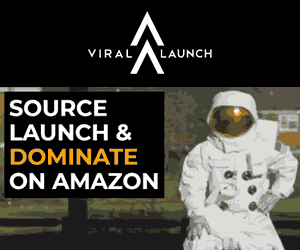 Before we dive into the depths of the launch activities, we need to be clear and on the same page regarding the 2 contributing factors that rotate the wheel of an Amazon seller throughout their journey. 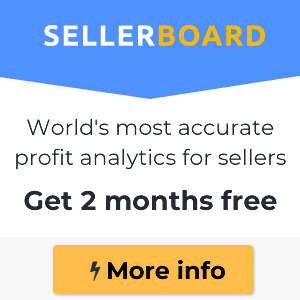 How many sales your product is making per day? You have to target and be in the same league of your first page competitors. People come visit your listing and then buy, this ratio gives an indication about how optimized your product listing is. You again have to target and be with your competitors. Seasoned seller or a rookie, everyone stands equally on the same platform and same 2 factors will determine their ranking. Yes, it is a daunting task to pivot these in your favor initially. Once you attain a high status in ranking and see your product placed on the first page, you will be in a position to sit and enjoy free sales. This is when you inorganically or artificially increase your unit sales for Amazon’s algorithm to pick up the products’ selling trend which will bring you eventually on the first page. Experienced sellers plan their giveaways typically for 1 to 2 weeks’ time depending on the level of competition. The next vital step is to ascertain number of units to be given away. You need to monitor sales of your first page competitors for this either using some tool or using the well-known 999 method. 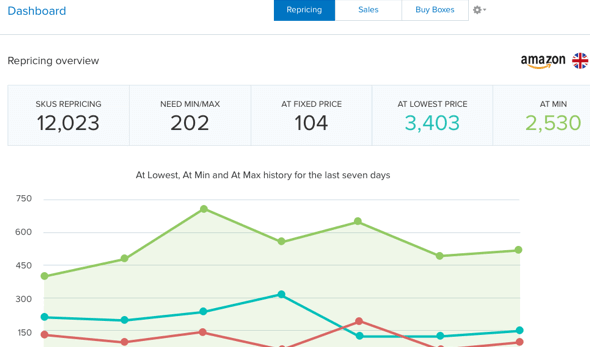 Determine the number of units and then match or exceed the sales to fight your way up to the first page. Another important question is to decide how much discount should be given? 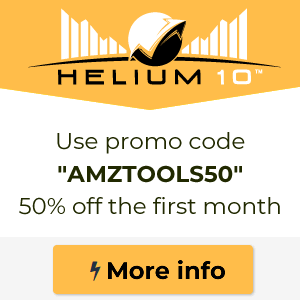 You can’t give away products for free, you need to make a coupon code and provide a discount up to 80%. There are chances that Amazon can raise a red flag in case of a high discount percentage like 90%. You might want to sign up with some launch services that are widely used by sellers globally. They have memberships to their groups where they share discounted products with their audiences. This is a tested way that is known to yield high conversion and boost your sales but can be expensive at the same time. It’s a bit of a catch 22 situation, shoppers need reviews to buy, review requires sales and you have none in the beginning. If giveaways and PPC campaigns are the two blades of the propeller then reviews represent the motor of the propeller that keeps those blades moving constantly. You need to reach that 100 mark of reviews ASAP for you to attain that monstrous, untouchable and fearless status that will make all competitors fear your listing. As mentioned in Prelaunch Marketing above, get reviews from respected reliable sources like your friends & family. If a paper card or a leaflet was already placed in your product package asking them for an honest feedback with your email address on it, then keep a check on your inbox for any queries. You can definitely avoid a negative review in case someone contacts for a replacement or direct them for a favorable review. There are a number of ways we can trace Amazon customers on other social media platforms or contact them via email. There are options to integrate chatbot services with Amazon database and trace them on facebook as well. You can request for a genuine feedback or offer a discount for buyers to repurchase your product. 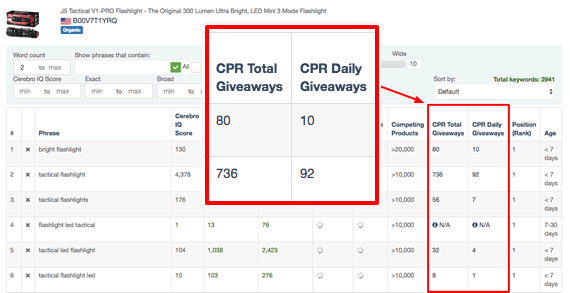 Repurchasing is a ranking booster as well and catches algorithm’s attention pretty quickly. Amazon has deleted thousands of reviews lately only because they thought that reviews were not original. So you need to be conscious and avoid asking for reviews openly on social media platforms as Amazon is ruthless and committed to show brutal strictness on this issue. They have even banned and restrained habitual reviewers by informing them straight up that they have abused the system. Soliciting positive reviews is against Amazon’s TOS but requesting for an honest one is a genuine attempt towards customer satisfaction. 15%-20% of giveaway recipients are generous to leave benevolent reviews and this is a pretty healthy review conversion rate. They are indebted with the discount and already have an idea as to what is expected of them. Attaching a picture or a video with the review can have a massive positive impact on your ranking. 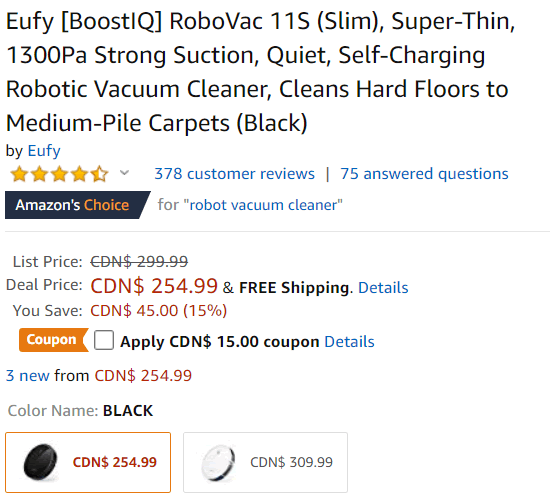 This is the most significant part of the product page as this not only introduces your product to your prospective customers but also is vital when Amazon’s algorithm searches for keywords for a product. This should include the quantity of products, a strong differentiating feature and smart combination of keywords to explain benefits of your product. These are absolutely crucial for a product success. Optimizing product images is one of the easiest and most effective ways to increase your traffic. Especially when you are in a highly competitive niche, quality images play a pivotal role and draw lines between sellers. These cannot be ordinary sentences. Imagine these statements as you are standing in front of the customer, informing them about the benefits of your product and what does your product that others don’t. It should be written with such confidence that the buyer should get a feel that seller is talking to them. This is also important especially for customers that go in detail about product information. It will be nice for you to have a team of professionals on your side to develop your product listing and make it extraordinary. You need to develop an awesome list of keywords that are accurate. The best way to check the reliability and validity of a tool for keywords is to countercheck with Amazon’s autocomplete options. (When you type a word like let’s say garlic press in the search bar, words that appear below the search bar in autocomplete section just beneath your search term i.e. garlic press). Do not take this lightly as you will rely on these keywords and will determine your future strategy. So use authentic tools that share with you their data collection methods and how they operate. 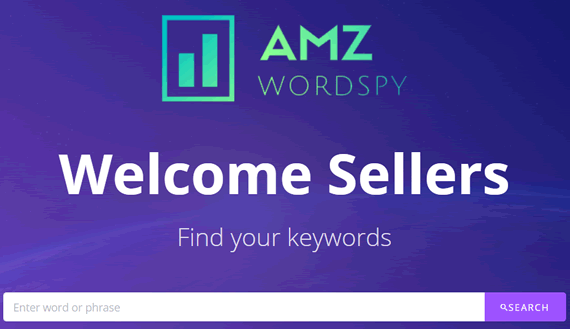 You can populate the most relevant keywords that can help you rank organically and utilize them in your backend keywords, product title, product features and PPC campaigns. Know your costs and profit margins so that you are aware as to how much to spend. You also need to search where your product lies on Amazon search pages when you search against each keyword so you are aware beforehand which words will be winners for you. It’s not a fast rule but seasoned sellers ideally recommend to begin a PPC campaign after obtaining initial reviews as there is no social footprint of your product. We are assuming that you are not already an established brand and that you are in early stages of launching a brand or a private label product. Established companies have tons of research studies/reports from independent firms before they launch a brand or a product in the market so they have fairly good idea about their product’s destiny. Sellers often are dependent upon limited number of product research tools and many times fall prey to inaccurate numbers or build an exaggerated perception in their minds by interpreting data erroneously. Take baby steps, launch the product see how does it perform and if you feel the product is good to stay then go for trademark and brand registry. There is no doubt that doing so is extremely beneficial in protecting your brand/product from hijackers and competitors. Going for it straight away only makes sense if you’re 200% sure about the product’s success and do not have a budget constraint. The process is time consuming, tediously bureaucratic and incurs application cost as well. Who knows the fate of your product, its highly unlikely that hijackers are going to jump at a product right after launch. Bottom line is you shouldn’t be worried at the beginning and should not focus on it immediately. Time will come when your product becomes into a precious cash cow that you want to safeguard from the external world. Till then, let your product perform on the stage and see what is it capable of. This factor will remain the king in ranking your product as it has a massive impact. You would want to set your price low and start your journey with a humble beginning. This will definitely catch customers’ attention and also increase your chances of winning the buy box. No matter how much you persuade customers with compelling pictures, videos or features, the decision making boils down to price. Customers are only going to make a purchase when they are confident that the product at hand resonates with the price and that they are getting value for their money. Send them a free product sample and ask them to use it in one of their videos. Sellers usually target influencers who have millions of followers, that’s often costly. What they are unaware of is that they can also target the second tier, the budding influencers. This will serve you right if you’re running on a tight budget. You have to choose the right influencer with the following that is relevant to your product. An example could be of a Fitness product. You just need to get in touch with a fitness coach, athlete or maybe a sportsman who posts regularly and has a decent following. Just like IG influencers, you can contact YouTube Influencers. Tons of people are creating their channels to introduce new products, unboxing and provide reviews while using them. This is gaining popularity as it is superefficient in conveying the message across and extremely engaging for a wide range of audience. Depending on your product and the category you are dealing in, you can engage a professional PR company and choose the medium of the press release like newspaper, online news blogs, sponsoring an event, free products for underprivileged etc. You basically need to do something newsworthy and breakdown your launch into basic steps. Start looking at things from a different lens from today onwards, Amazon’s lens. Amazon radiates customer centricity rather customer obsession in each sentence of its policy. They put customers in a uniquely powerful position where they are allowed to be unreasonable and right at the same time. If customers are Amazon’s first priority then they are yours too. Most sought out first page where 90% sales occur is as crucial to Amazon as it is to you. The first page is Amazon’s initial interaction with its customers so they need to make a great first impression by putting forward the best of the best products that have a history of performing well and have maximum variety as well. The orientation of its algorithm is not just towards customer satisfaction but customer delight which ultimately ensures bringing business to Amazon as well. You make money, Amazon makes money and their ambition for growth surpasses ours. If they want to show the best quality products on their first page, you be ‘that product’. There you go! We have equipped you with all the updated strategies that will come in handy even if there is a policy change in future (which no one knows). There is no set formula in place. For some product categories giveaways work while for some it’s not really required. Some product niches can operate just with PPC and by setting up backend keywords. You need to be confident that you have a superior product in your hand and that it is adding value in the market place. You follow these guidelines and hopefully your first product will leave the Launchpad like a missile. Go and get that best seller badge! Kamaljit has been around the ecommerce world since 2012 and founded AMZ One Step in 2017. They help sellers and vendors get things ready to sell on Amazon, from listing optimization, to PPC and Enhanced Branded Content. Make sure you check their work, their blog and their 2 meet-up groups on Chicago and Montreal.